Tags: Bridal, Deep Red, Double Layer, Front Open, Nikah & Engagement, Original Design, Pishwas. 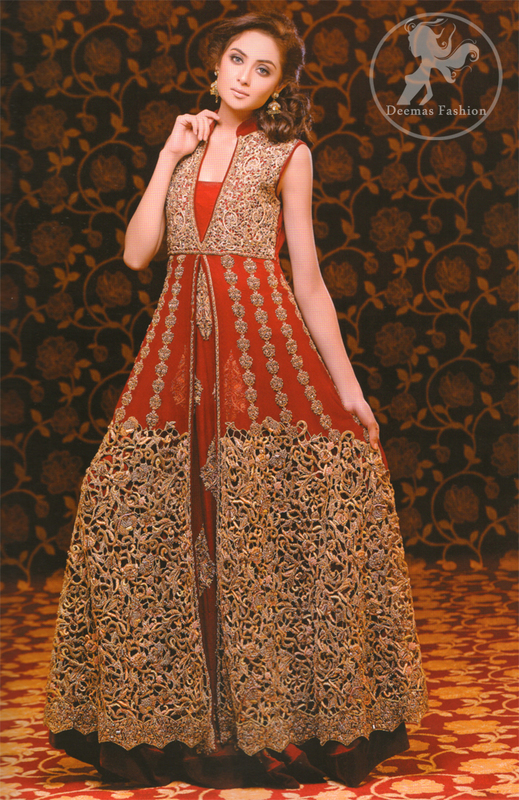 Deep red heavy bridal gown having fully embellished bodice and cut work embroidery at the bottom of gown. Inner shirt has been adorned with large motifs all over the shirt and finished with velvet border.